If you’re a customer to stock photo agency Thinkstock, we have some not-so-good news for you: they are closing in 2019. Parent company Getty Images has already informed all users about the closing, and their annual subscriptions are no longer available as of now. So it's time to find some good alternative to Thinkstock! 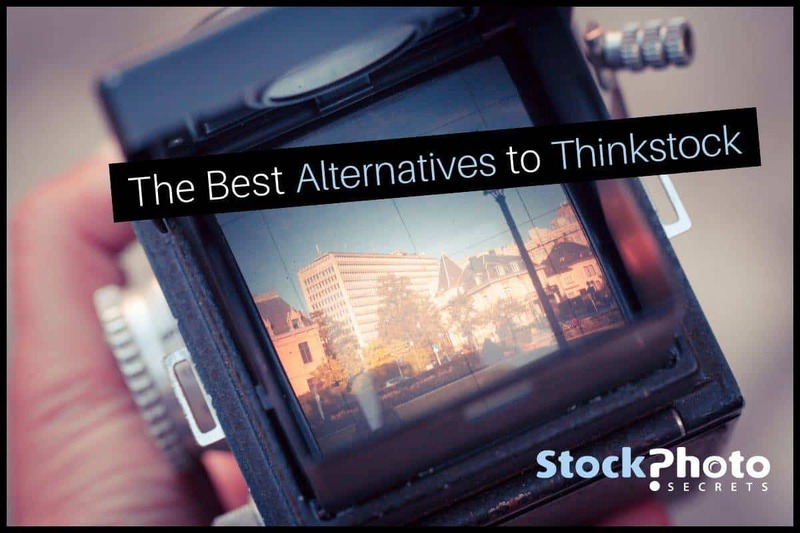 You don't have to go very far: we have three really good Thinkstock alternatives ready for you! Parent Getty Images and older sister iStock, plus our StockPhotoSecrets Shop, all have awesome deals that are comparable to Thinkstock, and even better, in terms of pricing, buying options and image quality. Plus, they're all top stock photo agencies included in our big fat list of the Best Stock Photo Websites! Learn all details about these alternatives to Thinkstock and make the switch to continue enjoying awesome royalty-free images at low cost! Thinkstock (originally Thinkstockphoto) is a stock photo agency offering royalty-free images at affordable rates. They were owned by leading stock photo agency iStock (previously iStockphoto), and later on they were both purchased by, rebranded and put under the umbrella of the very prestigious, traditional stock photography company Getty Images. For many years Thinkstock has been a successful and reliable agency (you can read our full Thinkstock review here), aiming mostly at widening pricing range and purchasing options from both iStock and Getty Images. They have image packs to buy on demand, and subscriptions with daily or monthly download limits, billed per month or per year. However the website has not been updated nor pushed in a while, and it seems the parent company decided it’s better to close it, and offer their customers to get a better and improved experience on their other outlets. The site will be officially shut-down in 2019, but the customer migration process has already started, and their long-term plans are no longer available for purchase. Hence why this is the best time to start finding a Thinkstock alternative! iStock is a microstock agency, a pioneer company with great reputation and famous for their dedicated curation process and collection of exclusive images (read more in our full iStock review). They have very affordable prices and flexible buying options that include credit packs for on demand purchases, as well as monthly and annual subscriptions. If you're a customer to Thinkstock's annual Flex subscription, which gave you 50 downloads a month for $1668 a year (billed in 4 payments or at $139 a month), you can switch to iStock's Essential Annual plan: 50 downloads a month for a year, for just $89! Why? It saves you $600 compared to Thinkstock! 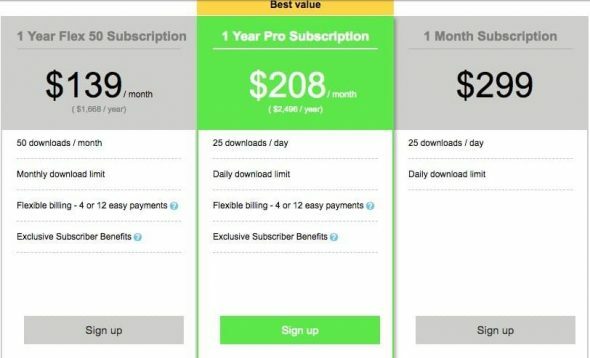 All other iStock plans also have an annual option, and they all save you more compared to month-to-month prices. It costs $588 less in the long run! So there you go! iStock is certainly a good alternative to Thinkstock, so you should totally sign up for free at iStock to check their collections and offers. Plus, you can use our exclusive iStock Coupon Code and grab any of these deals with up to 15% off! Getty Images is one of the most renowned and prestigious stock photography brands in the world, and their catalog is full of high-end, exclusive and unique imagery (learn more in our full Getty Images review). This is the cream of the top of stock photos: their prices represent it, and their images are worth it. Getty Images is certainly a great choice if you want high-end photos that are unique, exclusive, often times impossible to find anywhere else, be them editorial or commercial-use. As for a Thinkstock alternative, it's also convenient if you are after a multi-seat plan (which gives you access to multiple users in one account, perfect for creative teams), and it makes more sense if you want an annual deal. Getty Images offers a premium service and it's priced as such, at a much higher cost than Thinkstock's. Of course the quality and variety of the images reflects that too. If you're ready to spend and want a top class experience in stock photography, do check out Getty Images! Ask for your annual plan, or work on demand with the convenient Ultrapacks! Now this is an alternative you might not have thought of, and the one you definitely should know about. StockPhotoSecrets Shop is designed specifically for small and medium sized businesses needing great and affordable imagery. It has amazing plans that not only compare but also beat Thinkstock. If you had a Thinkstock's annual Flex plan (50 downloads a month for a year, for $1668), you are going to love our exclusive Low Volume plan: 600 image downloads a year for only $199! All images come up to XXL size at no added cost, and there is no daily or monthly download cap. You pay $199 and you can download 600 of your choice of over 4 Million high res photos, vectors and fonts, whenever you want within a year. Get more details on the plan in our Low Volume review. Reasons to love this deal are crystal clear! 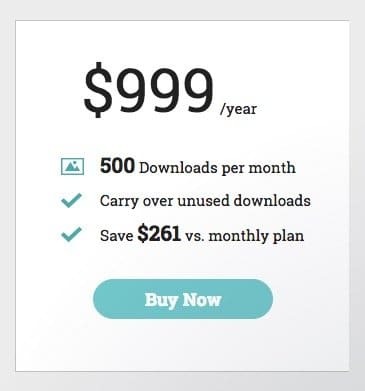 It gives you the same amount of downloads but with annual download limit: flexibility at its best! It's a real bargain: saves you a whopping $1469 cheaper than Thinkstock! You only pay once a year! Do I have to say more? The difference is abysmal! Get our limited-time Low Volume offer right here. Hurry up before it expires! If you were under Thinkstock's Pro subscription (25 images a day for $2498) you'll be pleased to learn about our Annual Subscription with monthly download limit: 500 downloads a month, at just $999 the year! With this plan you can get any image you want from our library with over 4 Million files (and hundreds of thousands more added monthly), in up to XXL size for the same price, up to 500 of them per month. 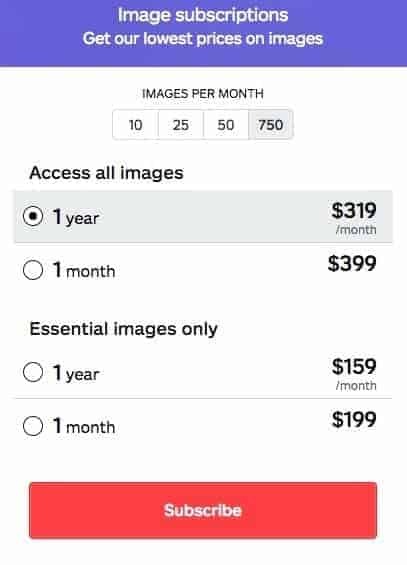 The limit is monthly but you pay annually, coming at just $0,16 per photo. A great deal in cheap stock photos, and a good alternative to Thinkstock. The month-to-month plan is your thing? If you liked Thinkstock's Monthly subscription (25 images a day for $299 a month) you can surely use our Monthly Subscription: 500 downloads per month for $105! Just like the annual version, this deal lets you access our whole catalog with over 4 million files and growing, plus it allows you to carry on unused downloads from one month onto the next (as long as you renew your subscription). It's very affordable and convenient as a Thinkstock alternative. StockPhotoSecrets Shop is great as an alternative to Thinkstock: it has flexibility, affordability and quality all at once! Visit StockPhotoSecrets Shop right now and explore our beautiful imagery. Grab your Low Volume plan quickly while it's still available! Get your Monthly or Annual subscription right now! Thinkstock has been around for a while and is a very decent stock photo service. It’s sure sad to see them go, especially if you’re their customer. But good news is you have great alternatives to continue buying stock photos at not only comparable but even cheaper prices, without neglecting quality of images nor service! If you were on Thinkstock’s Flex plan, try our exclusive Low Volume deal, and hurry up, it’s a limited-time offer! If you were on Thinkstock’s Pro plan, choose our Annual 500 Downloads a Month subscription, it’s cheaper, more flexible, better! Enjoy your Thinkstock alternatives and keep on designing at low cost!